In addition to his stellar bloodlines, his fineness and density are tops. It is difficult to open his fleece and see skin. Tres earned 5 Championships in his show career. Now his offspring are doing the same. 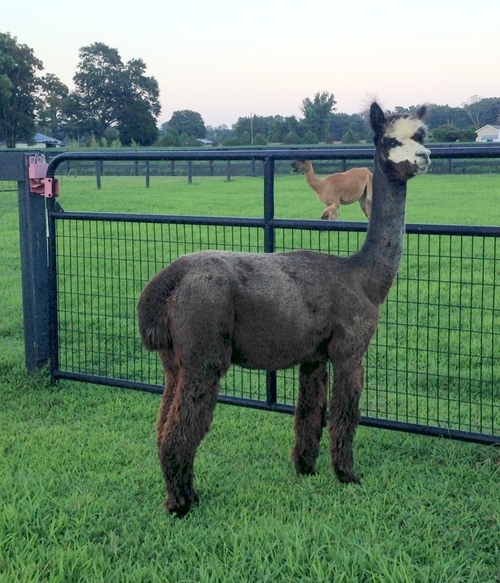 Most recently, Gray Alpaca Co’s Tres Ami started her show career in 2015. As the youngest juvie in her classes, she won Reserve Championship at Empire and NEOBA, and Championship at OABA. She is simply amazing! Breed to this exceptional Herdsire and improve your chances of reducing the micron of primary and secondary fibers, adding high frequency crimp with superior density. Tres produced Champion offspring in his first year of production. Tres is now in PA, and please contact Nancy or Jeff for scheduling information. Last but not least, when haltered this proud boy doesn't walk, he prances. 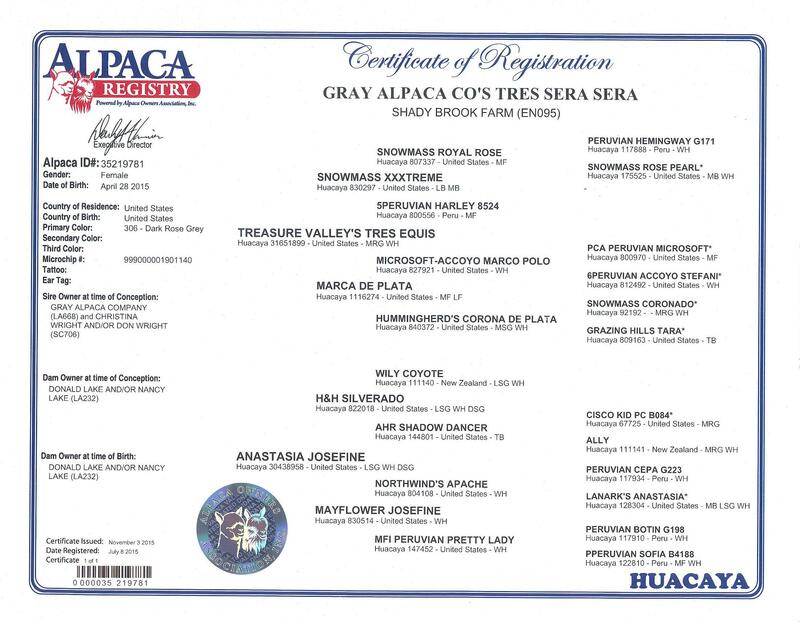 Tres is co-owned with our friends at Four Points Alpacas.